Merriman retired last March, he would apparently have no qualms making a comeback to play in Atlanta. 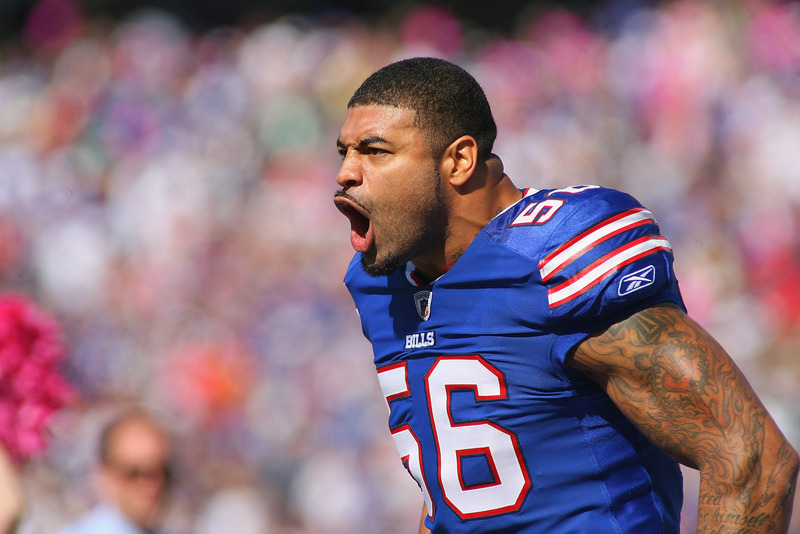 In his first three years in the league with the San Diego Chargers, Merriman made the Pro Bowl all three years. He recorded 39.5 sacks over that span, including a career-high 17 in 2006 . However, he totaled only six sacks in the next five seasons, largely due to injuries and being busted for PEDs. He last played with the Buffalo Bills, appearing in 10 games last season and starting one. He recorded one sack. I doubt the Falcons bring Merriman in, but it’s nice to know there are players who would lobby openly to play for the Falcons; it proves the franchise is in the right spot. 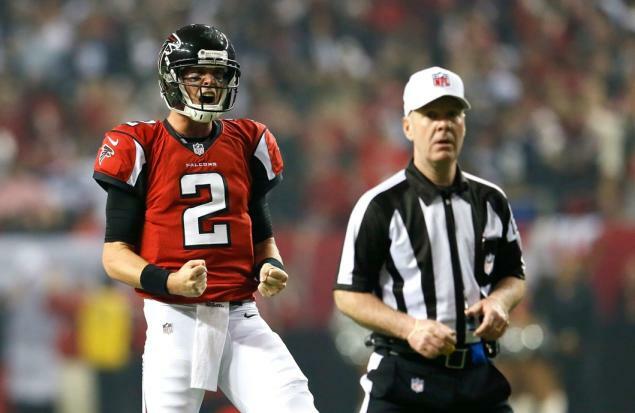 The Atlanta Falcons have given franchise quarterback Matt Ryan a five-year, $103.75 million extension. Ryan was on the last year of his rookie contract. Neither side seemed to be worried about getting the extension done, and it’s nice they were able to get this squared away on the first day of training camp. 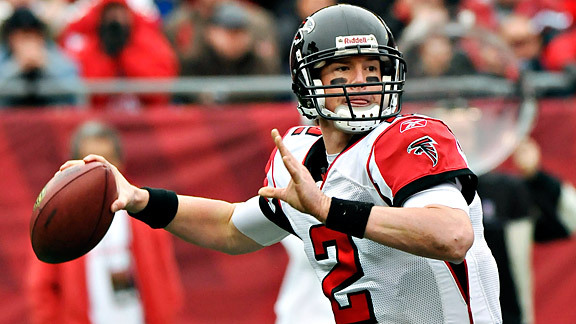 Last year, ESPN’s Ron Jaworski ranked Atlanta Falcons quarterback Matt Ryan as the 11th-best quarterback in the league. This year, Ryan has jumped all the way up to 5th. Notably, he’s ahead of Drew Brees (who is ranked as the 6th-best quarterback). That’s a pretty big leap for Ryan and huge praise from Jaws. Jaws notes how Ryan has gotten better each season. He also comments on Ryan’s knack for performing in pressure situations, as evident by the quarterback’s 23 game-winning drives and 16 fourth quarter comebacks. 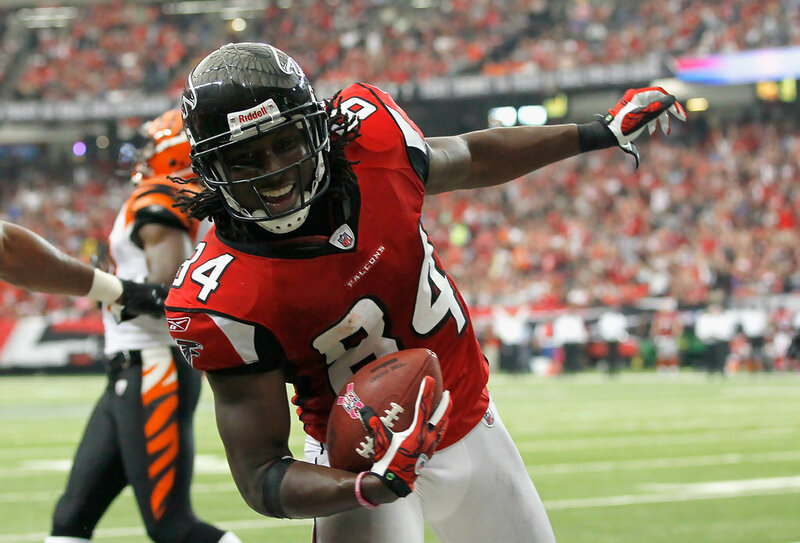 With the addition of Steven Jackson, expect Ryan to be even better than he was last season. Surprisingly enough, the tweets are still up 10 hours later. 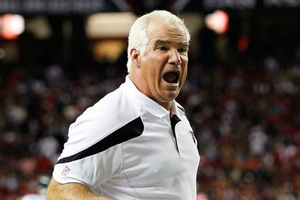 I would expect both the Falcons and the league to have a sit-down talk with White to accompany an imminent fine. EDIT: White has issued an apology tweet. I understand my tweet last nite was extreme. I never meant for the people to do that. I was shocked and upset about the verdict. I am sorry. ESPN’s NFC South Blog recently published an article highlighting the can’t-lose players for the teams in the division. As expected, quarterbacks are excluded from the discussion. According to the author, Matt Williamson, the Atlanta Falcons’ can’t-lose player is Steven Jackson. I can definitely see the reasoning for selecting Steven Jackson; the Falcons’ struggles to run the ball last season are well-documented. Michael Turner’s decline was sharp and sudden. As Williamson points out, Jackson is an upgrade over Turner in every regard; he still has tread left, and he’s perfectly capable of catching the ball – something Turner couldn’t do. 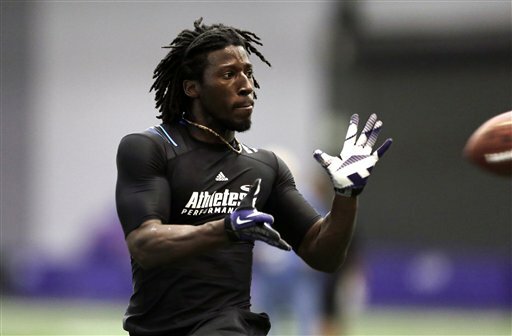 The addition of Jackson provides the Atlanta offense with another dimension, and makes the passing game much deadlier. However, with that said, the Falcons still boasted one of the league’s best offenses thanks to their dynamic passing attack. Jackson is a solid choice, and while I understand the selection, it’s not a choice I particularly agree with. Instead, I have to look to the other side of the ball and select Osi Umenyiora. 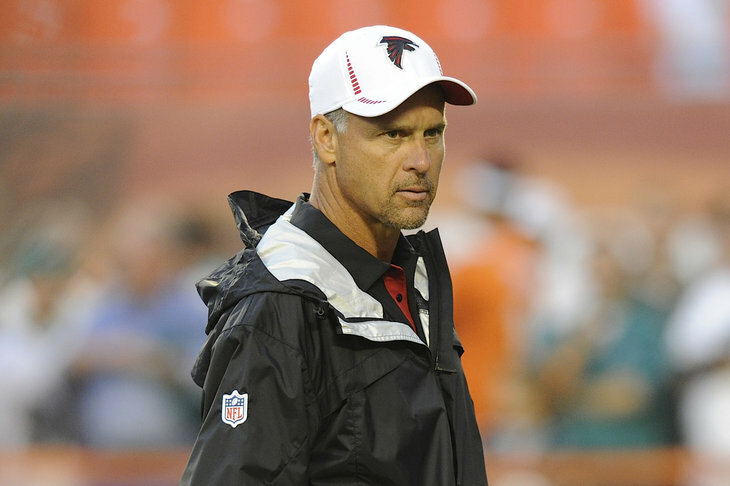 Last season, the Falcons had 29 sacks as a team – that total was good for 28th in the league. With John Abraham gone, the Falcons are looking to Umenyiora to fill his shoes. If Umenyiora were to get injured, the Falcons would have no semblance of a pass rush unless Kroy Biermann, Cliff Matthews, Jonathan Massaquoi, and rookies Malliciah Goodman and Stansly Maponga can all step up in a huge way.